Marcus Roberts and his fishing buddies T-Nate and Smitty locked down their spot six days before the S. Tokunaga Ulua Challenge fishing tournament. With a focused effort, they worked their poles until Marcus took a massive strike on his 12-foot Roddy Hunter pole and Torium 50 reel. 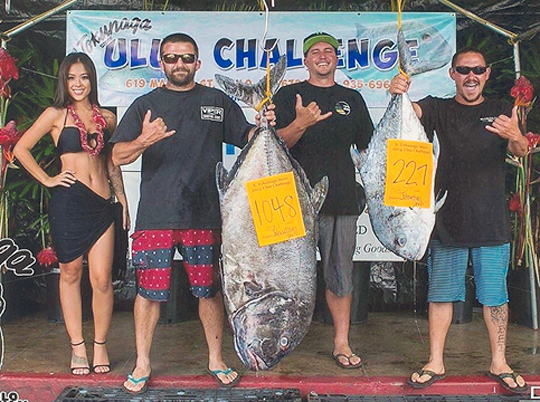 With the help of his partners, he landed his first 100-plus-lb ulua and won the tournament in the process--beating another 100-pounder at the weigh-in!